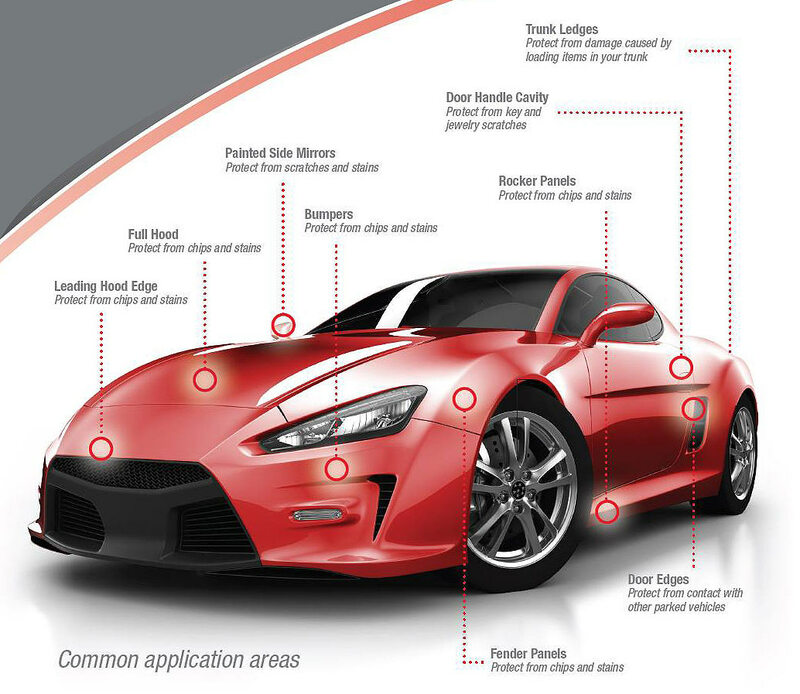 Protect your car's front end from Nevada's road debris, dirt, sand, and road particles. Our clear auto bra systems can cover the front end and even the whole hood and fenders if you'd like. You'll love how our invisible bra can keep you knick and scratch free. All our bra material is computer cut specifically for your model car. You'll be very impressed by our fair pricing and fast, accurate installation. Call today for a quote. Ten years ago paint used for automobiles changed to water-based products from oil based. This is awesome for the environment, but unfortunately, it made automotive paint more susceptible to chips and scratches. To fix the problem and protect your paint from rock chips and scratches while retaining the natural appearance of your vehicle, clear bra film can be applied to protect your paint. Our clear bra installations are cut to shape specifically for your vehicle with computer-guided laser cutters. This gives you the best looking and fitting clear bra that you possibly can find. Our professional installers will give you a flawless clear auto bra and you’ll love the protection from Nevada roads rock pelting. Our clear bra paint protection film is an extra durable urethane composite film that absorbs the ding and protects the paint underneath. This extra durability keeps your car looking new longer. And the material is virtually invisible. Just so you know, our installers are true professionals with hundreds of clear bra paint protection systems installed on cars throughout Nevada. If you want a bubble-free, super clean installation, New Sky is the right company! Since we can do the installation at your location, you get the added convenience of not having to drop off your car in some industrial area and pick it up later. We can do the whole auto clear bra installation right in your driveway or garage. So call us today and we can give you an immediate price quote and get you scheduled.